Little green caterpillar – moth or butterfly? I don’t know. This brilliant green caterpillar was asleep (diapause) in a pot of asters. I was repotting plants for the spring native plant on April 30th. I don’t know what species it is even my caterpillar guide couldn’t tell me. 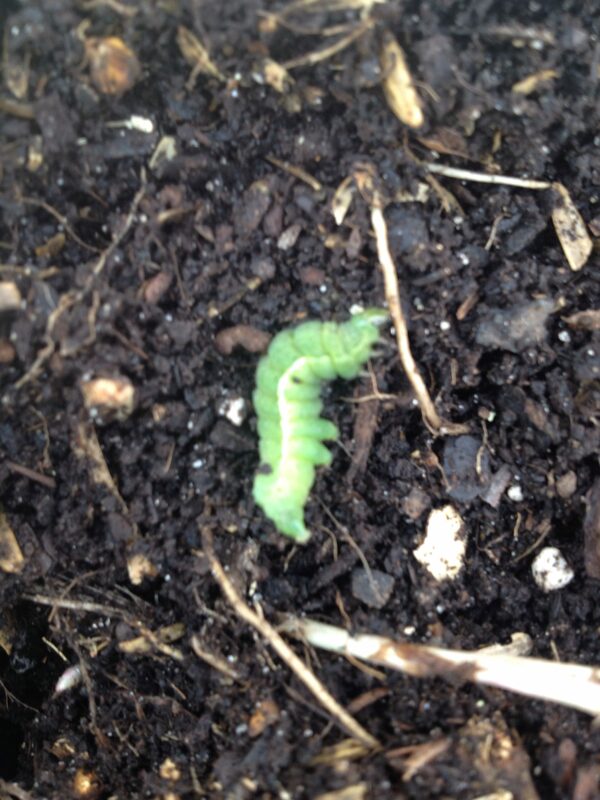 This little caterpillar is the same shade of spring green as the new green leaves of plants. This is perfect for camouflage.